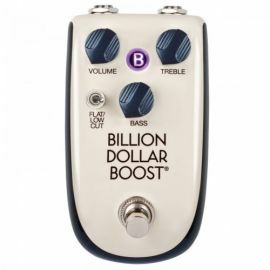 With their die-cast steel construction and featuring high gloss ‘classic car’ finishes, the new superb range of Billionaire Pedals from Danelectro USA not only look the business, but also deliver tons of vintage tone in spades. 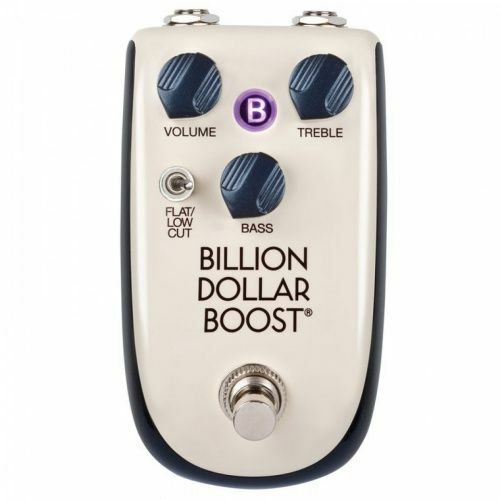 The Billion Dollar Boost is a reissue of a rare 80’s ‘hidden gem’. 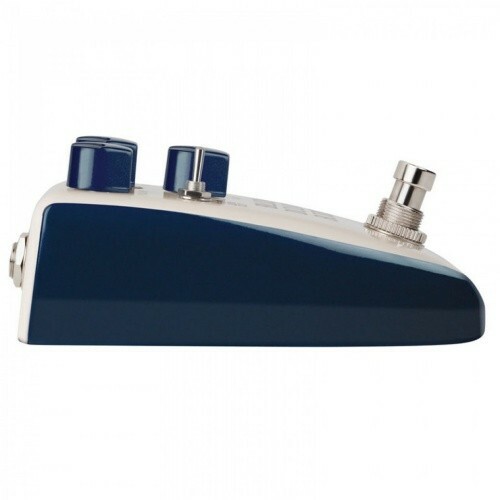 Boosts all frequencies, plus provides pure pre-amp clean with lots of gain. 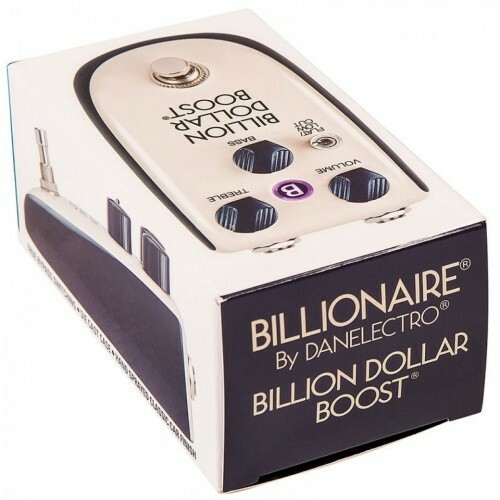 Clean and crisp at 50% or less, but pushes the amp into crunchy bite at 50% or more, this pedal will become your secret weapon.All Danelectro Billionaire Pedals are true bypass and can be powered via standard 9 volt battery or power supply unit (not supplied).